Pi Kappa Alpha fraternity members believe they know who vandalized their property last week and plan to turn evidence over to Cookeville police, according to information obtained by The Oracle. That evidence includes footage from video surveillance cameras in the neighborhood. Cookeville police responded to a call at the Peachtree Avenue fraternity, also known as PIKE, at 4 a.m. on April 5 and found that someone had pulled the concrete Greek letters out of the ground, police Capt. Bobby Anderson said. 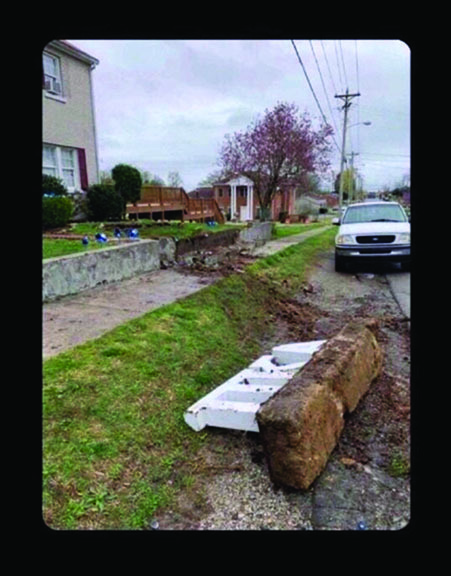 Anderson said someone in a silver truck hooked a chain to the letters and dragged them over a retaining wall and sidewalk causing $5,000 in damage. Under state law, vandalism causing $1,000-$10,000 in damage is a Class D felony, punishable by two to 12 years in prison and/or a $5,000 fine.